Editor Jaime Serensits has been a railfan as long as he can remember, growing up in an area rich with railroading, including the Lehigh Valley, Central Railroad of New Jersey, and Reading. The gift of a 110 Instamatic camera started his lifelong pursuit in capturing trains on film that has continued into the digital era, after wearing out a number of 35mm and medium format cameras along the way. Any kind of railroading is worthy of capturing on film, whether it be high speed main lines, rickety branches or even abandoned right of ways with traces of what used to be there. Jaime worked for Conrail as an account executive in the Agricultural division and also spent several years on a number of short lines and regional railroads, getting involved with both freight and passenger operations. In 1994 he began editing The Railroad Press Magazine, the continuation of Greg Monroe’s innovative The Railfan Photographer. Acquired by White River Productions in 2014, the publication was renamed Trains & Railroads of the Past to reflect its focus on railroading of the 1960s, 1970s, and 1980s. Jaime has authored and co-authored a number of books, including ALCOs to Allentown, Anthracite Classics, and Altoona Action. Mike Bednar grew up in Hokendauqua, Penn., and the Lehigh Valley Railroad main line was literally in his backyard at Milepost 98. Starting in 1960, Mike and his brothers started to hang out with the flagmen in the Lehigh Valley cabooses that stopped behind his home. Soon they were riding along with the Cementon drill crew and spending time at the Biery yard office located about a half mile from their home. This led to Mike hiring out with the LV directly after he graduated. He worked every agency and tower job between South Plainfield, N.J., and Penn Haven Jct. He then worked as a yardmaster at Richards, Florence, Bethlehem and Allentown. 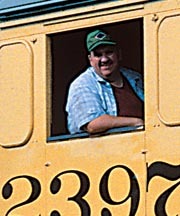 When Conrail came along he worked as a yardmaster, block operator, agent and train dispatcher until March 1991. At that time he hired out as an engineeer for the new regional railroad, Reading & Northern, and retired as an engineer in April 2007. 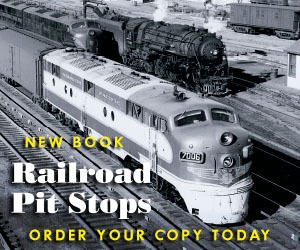 He has written 14 books about railroading in the cement and anthracite regions of Pennsylvania and over 55 articles in TRP magazine about his experiences along the iron trail. Mike is married to his wife Donna and they still live in the house where Mike grew up. The LV is gone now, but the memories will last forever.